It has been reported recently that a growing number of women are now choosing to live their lives according to the moon’s phases. There has been widespread belief for centuries that the moon has a powerful effect on human health and behaviour. So-called ‘lunar living’, which is where you coordinate your life with the moons unique energies, using its natural rhythm to map out periods of relaxation, socialisation and other monthly activities. Lunar living has become so popular that many people now choose to co-ordinate everything from their business meetings, to dates and diets with the phases of the moon in order to help them cope with the stresses of modern life. 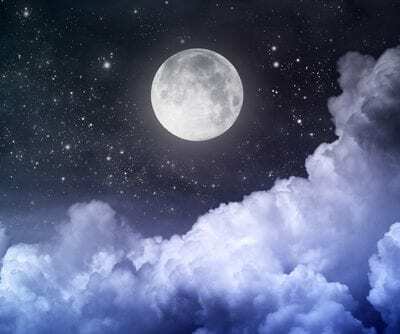 Lunar living is not just limited to day to day activities – in fact research has found that patients who had an emergency heart surgery during a full moon had shorter hospital stays and were less likely to die than patients who had the same operation during two other moon phases. How you can use the moon’s phases Here is a simple listing of the eight different phases of the moon and some keywords to describe how you should be using them to guide you and improve your life. New Moon (Starts the cycle) New beginnings, fresh start and new goals Crescent Moon (3.5 days after New Moon) Development, growth and opportunity First Quarter Moon (1 week after New Moon) Critical decisions, ambition, challenges and action Gibbous Moon (2.5 days after First Quarter) Reflect, analyse, adjust and inspiration Full Moon (2 weeks after New Moon) Harvest, results, gratitude and peak energy Disseminating Moon (2-5 days after Full Moon) Tie up loose ends, think, teach and share Last Quarter Moon (1 week after Full Moon) Let go, release, forgive and readjust Balsamic Moon (2-5 days after Last Quarter) Contemplate, reflect, rest, renew and prepare Over the coming months we are going to take an in-depth look at each of the moons cycles and how astrology tells us you can use each cycle to shape and assist the organisation of your life. We will start with the New Moon, which represents the birth of new beginnings. This is a time to begin projects, plant seeds, and breathe life into something that we hope will expand and grow so think about what you would like to achieve before the next post! Using the moon to guide you is simple so if you want to try tuning in to these phases look out for upcoming posts and begin to observe and familiarise yourself with the Moon’s cycle each and every night. The next time you seek guidance, our psychic medium readers can use their mediumship skills along with Tarot cards, crystal gazing, runes and other methods to assist them in divining your future. Our spiritualist mediums are waiting for your call so get in touch today.